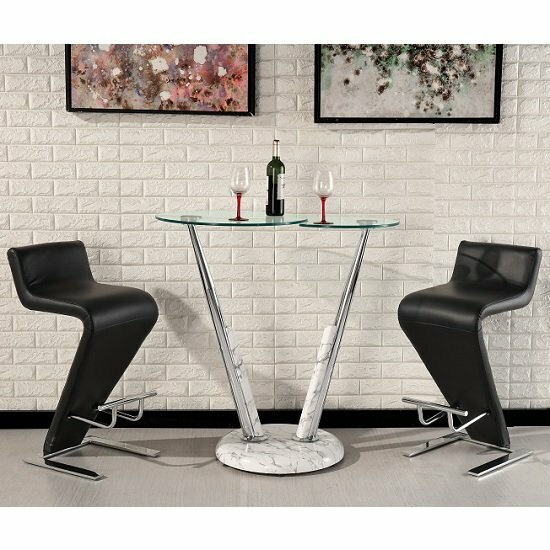 Tokyo Glass Bar Table In Clear With High Gloss Marble Effect Base With 2 Farello Bar Stools In Black PU, this bar set provides unique attraction to any kitchen or Bar area. 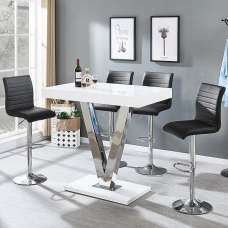 The high quality contemporary Glass Bar table is made of clear glass top, featured swivel motion and High Gloss Marble Effect Base. 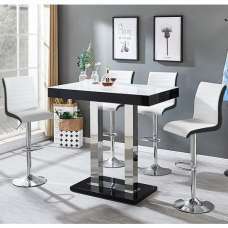 The clear glass combination with chrome and High Gloss marble effect base gives you a very versatile piece of furniture for home decor. 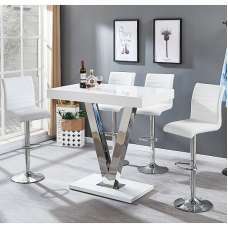 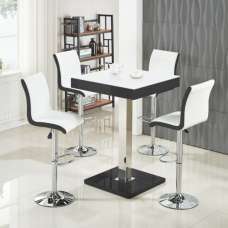 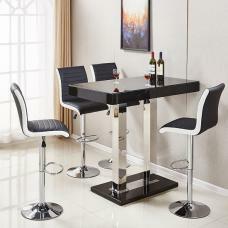 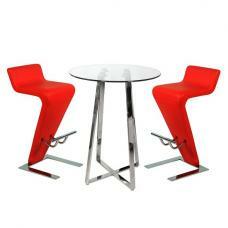 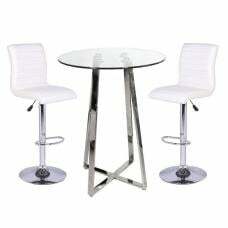 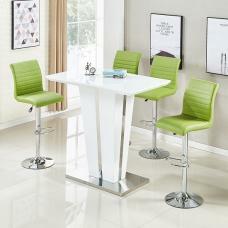 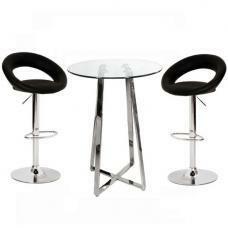 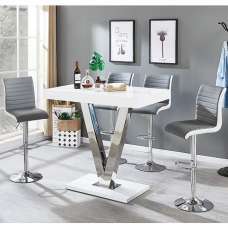 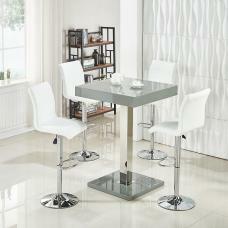 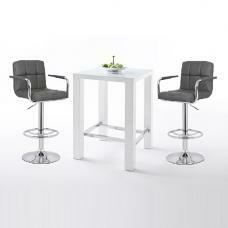 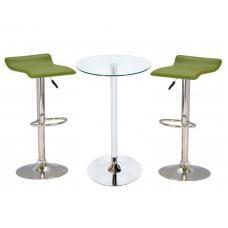 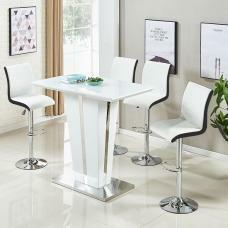 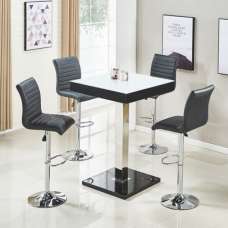 It includes 2 farello bar stool in black faux leather.